Maho is Shūichi's older sister by one year who shares a room with her, and at the beginning of Hōrō Musuko, she is in the sixth grade of elementary school. Maho is a big fan of a teen model named Maiko, and because she deeply desires to meet her, Maho sends in her photo to a modeling agency and is soon hired as a young model in the same agency as Maiko. Maho shows a large interest in clothes, and spends a lot of her money on new apparel. After she starts to become recognized as a model, Maho enjoys the added attention from being asked her autograph by complete strangers. While initially starting out slow in modeling, Maho soon gains confidence in her abilities, and becomes friends with Maiko and two other models, Anna Suehiro and Tamaki Satō. In contrast to her younger sister, Maho is very out-spoken and tends to be rough with Shūichi, even hitting or slapping her on some occasions. Maho is very displeased about Shūichi's cross-dressing, and gets angry and annoyed when she finds Shūichi dressed as a girl. Maho often forces things on Shūichi with little consideration of her opinion. 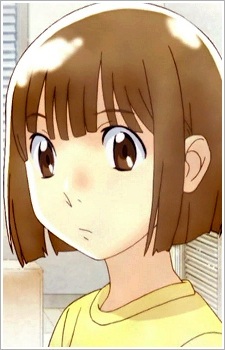 Once in junior high school, Maho becomes attracted to her classmate Riku Seya, and eventually starts dating him.